At the beginning of the 20th Century, Chicago was a busy sprawling urban city on the go. It was crisscrossed with over 500 miles of rail and trolley lines shuttling people all over the city with thousands of employees working to build, maintain, and keep the system humming. The heaviest populated parts of Chicago had stops as close as a quarter-mile apart. 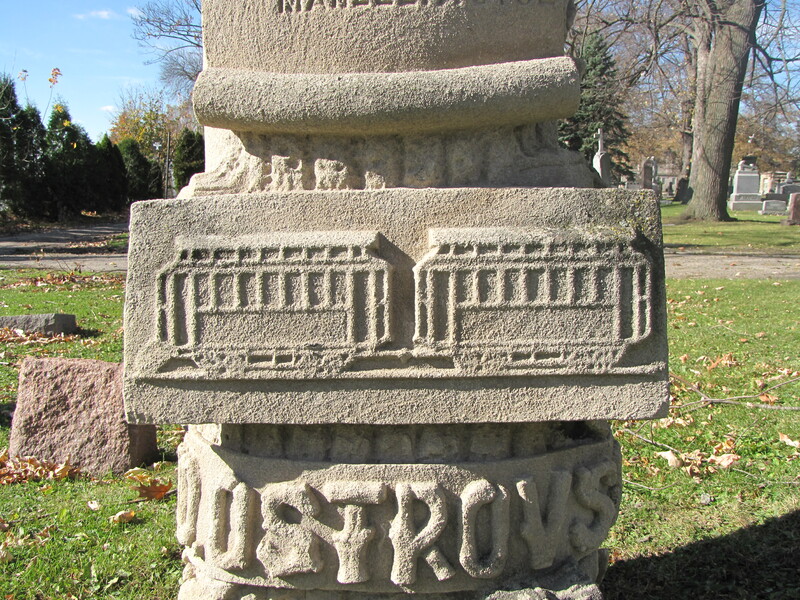 Frank Ostrovsky (also listed as Ostrofsky) worked as a switchman for one of many trolley campanies, the Chicago Union Traction Company. 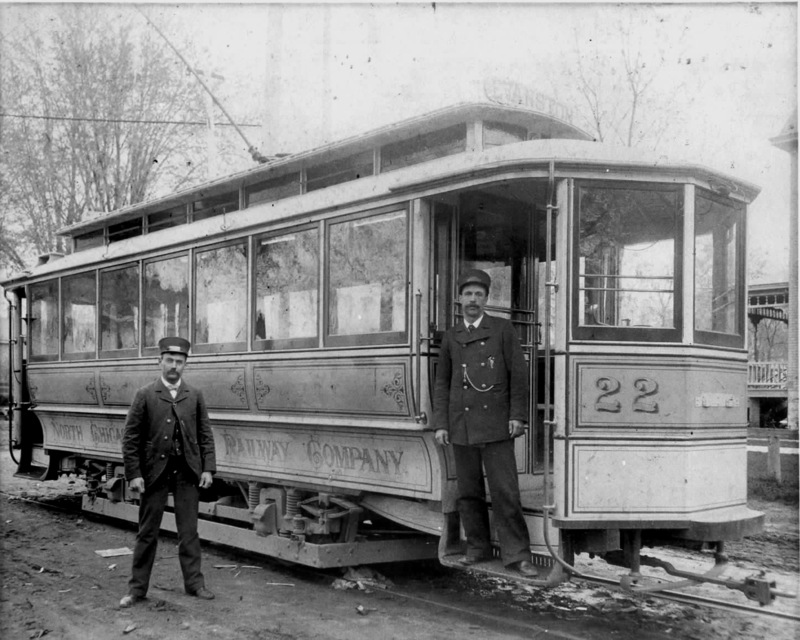 On April 25, 1903, while he was working, he was caught between a streetcar and a dinky. Dinkies were short train engines used to pull cars into switchyards moving them from one rail line to another. Young Frank Ostrovsky died from the resulting injuries. 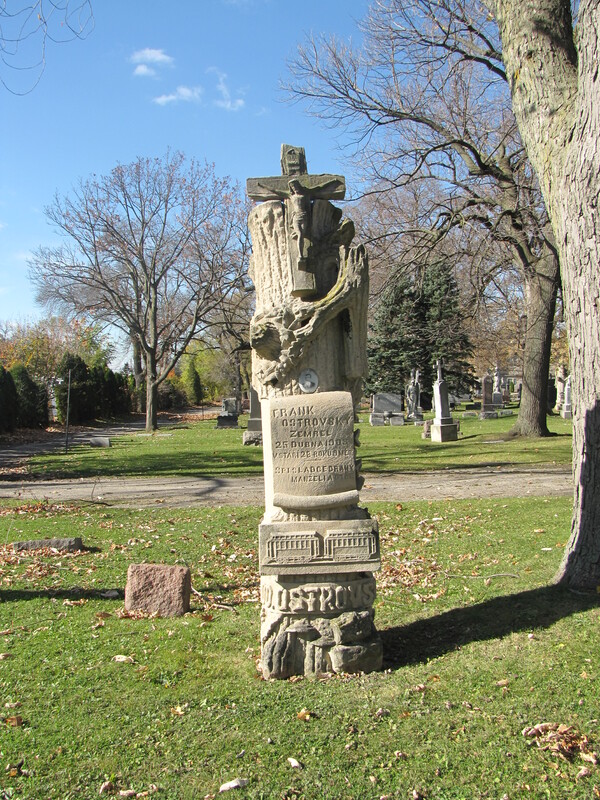 Ostrovsky’s’s tree-stump tombstone, carved from limestone, was imbued with symbolism. At the top of the tree-stump is the Crucifix—a display of the family’s faith. The short tree stump itself often marks the grave of a person who died young—a life that had been “cut” short. In this example, Ostrovsky was just 28 years old. He had been married less than five years. He and his wife, Barbara Posekany, were married on May 3, 1898, both immigrants from Bohemian. According to the 1900 U.S. Census, Ostrovsky was married with a small daughter named Mary, who had been born in May of 1899. She was less than 4-years old when her father was killed in the tragic street car accident. But what is different is the bas-relief on the front that displays the scene of his death. It shows the two trolley cars. 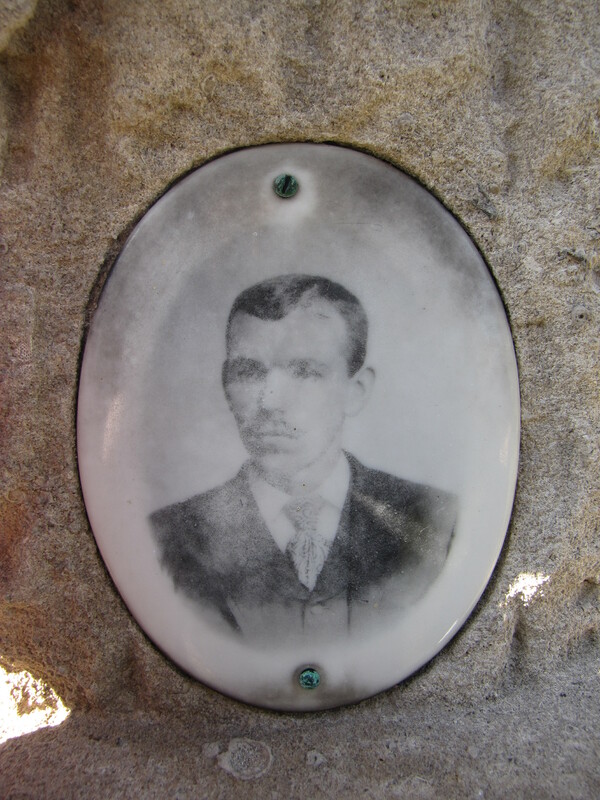 Above the panel, carved to look like a scroll with the tombstone’s inscription, is a faded photo of Frank Ostrovsky, husband and father.